We manufacture polythene rolls for covering large areas in preparation before painting or spraying. They come either with a static finish so they cling to surfaces and objects or are manufactured purposely to be anti-static so they sit over objects or hung with tape and can be easily removed. 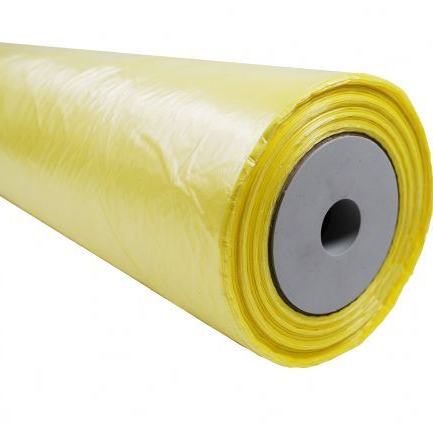 The polythene rolls come in varying thicknesses so they can be use for placing on floors where there is heavy duty footfall and machinary being used through to very light duty films. Some of the smaller polythene rolls can be used with applicators usually combined with masking tapes.